I don’t have a fixed skincare routine that stays the same from day to day. I prefer to change things up to adapt to current conditions. So in lieu of a fixed routine, here I’ve listed all the current and incoming building blocks of my full morning and evening skincare routines. For some examples of how I might mix, match, add, and drop products to create custom routines for specific skin issues or life circumstances, check out my Instagram or the posts in my Routine Building category! Products provided by sponsors or my day job are marked with double asterisks(**). Cleansing oils: Emulsifying oil-based sunscreen and makeup removers used as the first step in my evening double cleanse. I use these very carefully due to my lashes, since they must not come in contact with the glue! Cleansing Waters: When I don’t want to use a cleansing oil; to loosen sunscreen and makeup before cleansing or to do a light cleanse on lazy mornings. Second Cleansers: To cleanse face in the morning and to remove all traces of oil cleanser residue and cleanse face in the evening. Actives: Evening only; to build collagen, lighten dark spots, accelerate skin turnover rate, and clear pores by loosening dead skin cells for faster shedding. First Essences: To soften skin after cleansing and prepare it for optimal absorption of any skincare products applied afterwards as well as provide specialized skincare benefits. 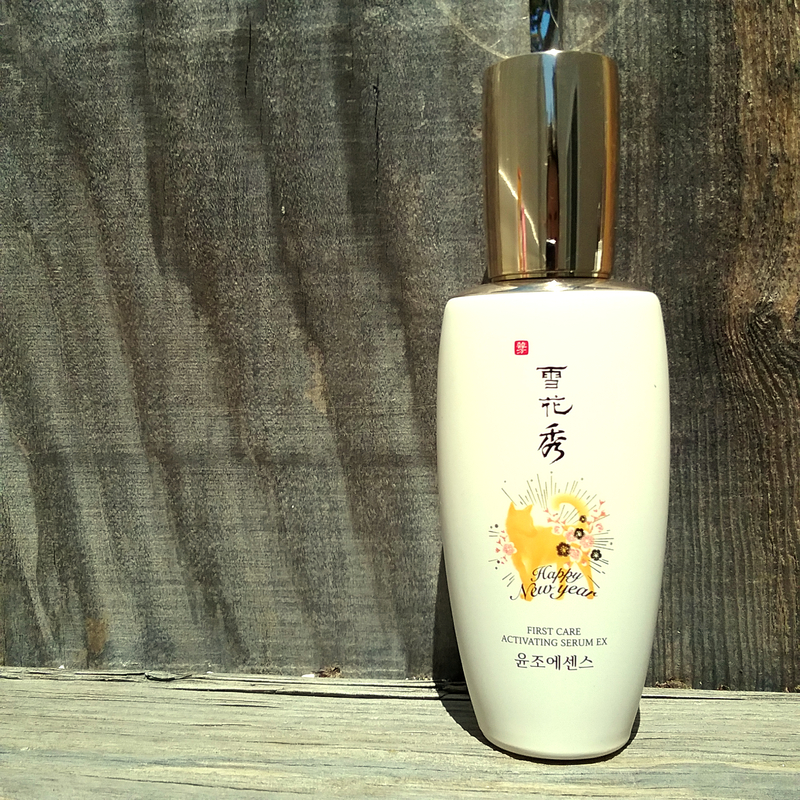 Right now, in limited edition Year of the Dog bottle. Toners: To plump and hydrate skin and provide moderate skincare benefits. Essences: To hydrate and deliver a moderate amount of skincare actives and antioxidants. Term is sometimes interchangeable with serum, depending on brand. Serums/ampoules: To deliver highly concentrated doses of skincare actives and antioxidants. Sheet masks and hydrogels: For extra hydration and skin-friendly ingredients. I use one mask a night, minimum, and if I get up early enough in the morning, I like to sheet mask then as well, with a focus on photoprotective antioxidants. Moisturizers: To seal in previous skincare steps and reinforce the moisture barrier against water loss. Sleeping packs: A little more occlusive than regular moisturizing creams and often with more intensive targeted ingredients, sleeping packs treat while you sleep. Eye stuff: For hydrating and moisturizing the eye area. Sunscreen: Nonnegotiable everyday UV protection. Keep an eye on this page, as it changes regularly. And as always, remember that my routine is only an example, not a template! Thank you for your post! I am 24 this year, and is thinking of incorporating a night cream instead of a normal moisturiser. 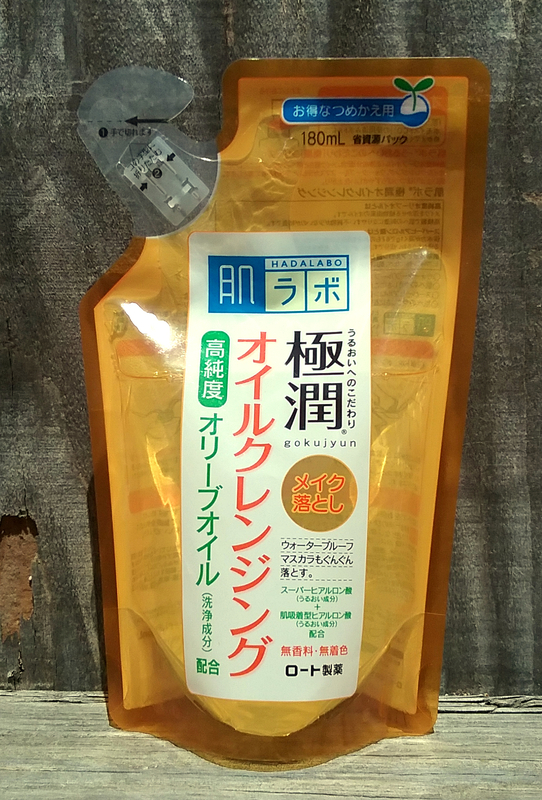 I have combination skin (dry chin, oily T-zone). Do you have any recommendations? Hi Stephanie! I’m not too well versed in combo skin, but one trick that I have seen people do is to put a different cream on each zone depending on what it needs! So for example, if I had some dry zones and oily zones and was looking at a sleeping pack, I might do the Goodal Nature’s Solution Firming Sleeping Pack (very rich, moisturizing, and occlusive) on my dry zones and then something like the Cosrx honey sleeping pack (light and hydrating) on my oily zones! Hi! I didn’t see anything about BHA’s or AHA’s (I genuinely could have missed it and if I did, I’m sorry). I recently bought the COSRX BHA Blackhead Power Eraser and am just beginning my asian skincare routine. So far I only have the BHA, a foaming cleanser, and a face lotion… (I need to fix this and soon!) But I was wondering when to incorporate the BHA to get the best results? Like after which product? Thank you! Hi! I took the BHA and AHA product out of my routine page because I’ve temporarily dropped them from my routine (I’m experimenting with some different kinds of exfoliants at the moment) but in general they go right after cleansing. An easier way to remember is to think of acid exfoliants as an extension of your cleansing step! But for that doesn’t the cleanser have to be acidic? Don’t Ii have to lower my skin ph with a toner before using bha? This is something that there isn’t much consensus on. My thinking leans towards the idea that for acids to be effective, it’s the pH of the solution the acids are in (the product) rather than the pH of skin that matters. Where the pH of skin matters is in the effect that high pH cleansers can have on the acid mantle and lipid barrier, which is to say that they can damage it and, by raising the pH, cause the skin to be more hospitable to bacteria. Two separate issues. Hi. After having babies, I noticed a dark spot on my top cheek started to get darker. Do you have any suggestions or your HG products for treating dark spots? Yes, L-ascorbic acid vitamin C serum at a concentration of 15-20% and a pH between 2.5 and 4, something or somethings with niacinamide (Holy Snails Shark Sauce has the ideal % and another ingredient that enhances it), AHA, and lots of high SPF, PA++++ sunscreen. Good luck! Do you have any product recommendations for undereye circles? I’m 19 and my dark undereye circles make me look 10 years older. I’m considering on getting the Shara Shara ampoule, do you think that would help? My current skincare routine is (in order) Canmake Smooth Clear Toner, Hatomugi Skin Conditioner, Mizon Collagen Eye Cream, and Etude House Moistfull Collagen Cream. Just use actives like Vit C in the morning and at night alternate between retinol and BHA and AHA.,..you do not have to use everything in one day or night …just feel into it! Hi Fiddy, first of all I wanted to mention that i am totally addicted to the snail podcast 🙂 you guys are so informative and funny! I have a question…you once mentioned that you’ve used Neutrogena retinol products. I’ve never used any retinols and thought i’ll start with it. I am applying it right after i double cleanse, then wait 30 min and “trying” to do my routine steps…The reason i put “trying” in quote marks is that i can’t actually do my routine until with cotton ball and toner i wipe my face . I find that when i put my layers directly over my previously retinoled face everything becomes slimy and disgusting. So that’s why 30 min after my retinol i feel like i have to wash/wipe my face first before starting my routine…Did you have something similar? Any recommendations? Should i keep on wiping my face or just brace my self and try to ignore slimy effect. THANKS!!!!!! I wipe down too, nothing wrong with it in my opinion. The actives have had time to penetrate and work so it’s nice to remove the residue which isn’t doing any good to man nor beast. Hi! So I’m adding Vit. C C20 now in my routine. Let me tell you first about my skin for a little background. I have an oily face, I’m not acne prone but when I moved here in the States I had alot of breakouts mostly inflamed zits 😦 and scars. Now I am trying the Vit. C c20 to my routine for a week already, I do it every other day. Now I want to add Mizon bha/aha daily toner, Cosrx BHA Blackhead power liquid and Cosrx AHA Whitehead liquid. Can I use the Vit C and the Cosrx BHA and AHA everyday? Please help! Hey, Fiddy! I noticed you have the Innisfree Jeju Lava Seawater Cream on your list of moisturizers. I’m currently using Cosrx Honey Ceramide Full Moisture Cream, but I’m looking into getting a lighter cream for summer. What’s the texture of the Innisfree like? Do you think it would be suitable for hot/humid weather? I think it could work! It’s light and relatively watery, more moisturizing than a typical gel moisturizer but much more lightweight than creams like your Cosrx cream. Dries quickly and matte so it’s good for day! Thanks so much! It sounds perfect. I noticed that you have the variety pack of Clean it Zero under your oil cleansers. Have you noticed any real difference between the different flavors? and was there any reason why you switched over from the Botanic Farm Grain Ferment Cleansing Sherbet as a balm cleanser? I just found your blog and I am absolutely obsessed! Do you do skincare consultations at all? Over email or even in comments? I loved both the Pink Soombi Essence Serum and the white/gold bottle Essence Oil, and the eye cream was nice though not quite HG. I’m very curious about their other products too. That jasmine fragrance they use is stunning! Hello lurker! 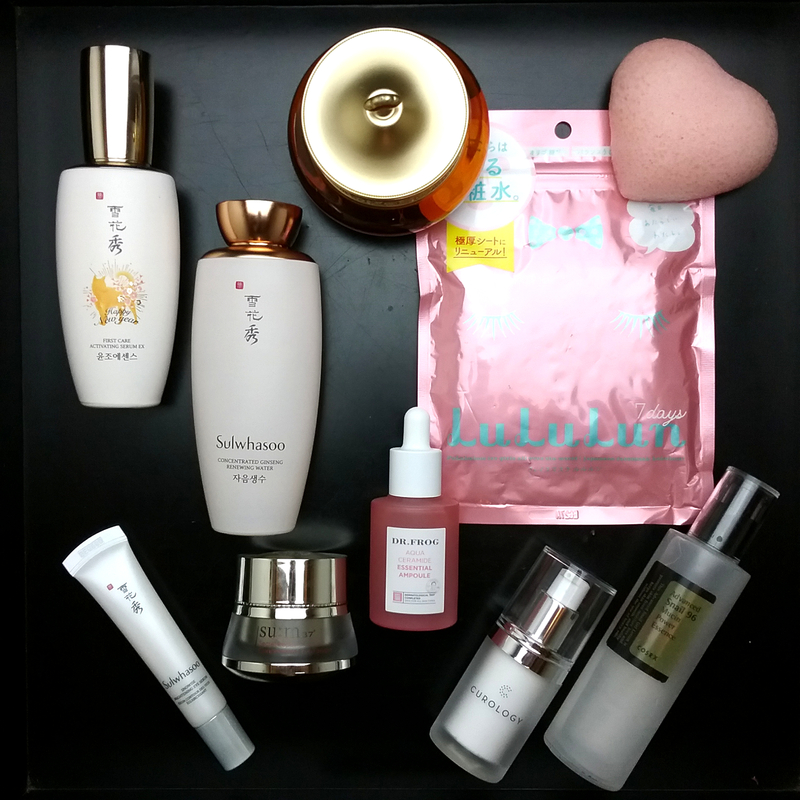 I wanted to move on and try other cleansers so that I’d have more things to write about, and then I fell in love with the thick dense foam of the Sulwhasoo cleanser. Plus Lord Fiddy claimed my Tosowoong cleanser and I usually shower and wash my face in a different bathroom. But I occasionally steal the powder wash back, and it’s just as nice on my skin as i remember! Almost everybody so far has voted for the Cosrx, so propolis it is! Please start with the cosrx propolis light! I have totally fallen in love with cosrx and your reviewes! I’ve read that you already tested it for a period, but was’nt crazy about it, Im so curious to read the full final review! You guys have convinced me. Cosrx propolis is officially next in line! And hi from SoCal! I am also interested in the COSRX Propolis Light Ampoule 🙂 Because COSRX is affordable, well formulated and I have a good acess to it(live in germany). And I am really looking forward to the vitamin c serum comparison! I’ve decided the Cosrx propolis shall be the next in line! I’ll be adding it in very soon. I vote for the Holy Snails product first. I’m dreaming of the day Chel makes something I don’t want. Hi 🙂 How do you keep up with your skincare routine when you’re traveling? Like, do you go with morning or evening routine before a long haul flight? And are there any steps of your routine that you can afford to skip during traveling? I often skip vitamin C during traveling since I prefer keeping L-AA in the fridge whenever that’s feasible, but as for the rest of it, I’m a little nuts and I try to keep my whole routine! I just put it in checked baggage. Generally I travel for work more than for fun, and I’m not a big party animal in the evenings, so I have a blast doing a nice long routine in the hotel in the evenings. When I do need to cut down, though, my essentials are oil or balm cleanser, foaming cleanser, Curology, one each of snail, ginseng, and propolis step, moisturizer (Beauty of Joseon is nice for this as it’s moisturizing enough for me in the evenings but dries fast and plays well with sunscreen in the day), sunscreen, and a nice handful of sheet masks. I have used two pots of the Mizon Gold Starfish and really like it. Nobody ever mentions it so I would be pleased to hear your opinion. I like more than the Beauty of Josean and also the Ladykin Dark Vanpir (which is another popular Cream). So I tried it out a couple of nights ago (I would have Snapchatted it, but I….don’t know where my tablet is) and I did like the moisture level of it a lot! Did you ever find that those little gold bits in it scratched at all, though? some questions and comments (your responses at your leisure greatly appreciated:) – i’m thinking of simplifying a bit, needing a new mostly-PM moisturizer/cream, i want to keep snail and ginseng in my routine while simplifying, so would you recommend the It’s Skin Prestige Creme Ginseng D’Escargot as an evening cream for 47yr-old normally balanced fair skin? are there others you’ve tried or could recommend? i’m currently finishing off mizon black snail aio, and it’s been okay, i’ve not tried a serious ginsend cream, none that wow me that i can afford. also, have you tried slowly moving aha/bha’s back into your routine with curology? i took some time off, then recently brought them back on/off days, and i’m thrilled, no-more-tretface! however, i’m sticking with my original curology tret4%/niacinimide/azelaic. i decided to keep this formulation because: a) it’s working, fading agespots, smoothing, no breakouts; b) it’s also working around my eyes! i gently work a small ring finger amount in around my eyes then layer camellia oil last. perfect. fine lines are disappearing before my very eyes! Hi there! I think the It’s Skin Ginseng D’Escargot (not the regular Escargot; I’ve not heard great things about that one) could be a good bet for your skin based on what you’ve said. And I have added BHA back to my routine after cleansing a few mornings a week, which is working out nicely. I’m still playing with weak AHA/fruit enzyme exfoliants right now instead of a regular strength AHA product. The Ciracle peeling pads were nice but ran out quickly, and I’ve got the Neogen Green Caviar Essence somethingsomethingsomething Tox Tightening Pack wipes up next to try out. For your last question, what kind of products are you interested in? thanks for your awesome suggestions and reviews. I love them! I’m curious, which are the weak AHA/fruit enzyme exfoliants you are using? Hi Fiddy! It´s been ages since I have read your blog and write to you. I just experienced a mayor change: moved from my country in Chile, South America to Germany! As you can see, not only this took all my time and energy, it also made my routine colapse. I don´t remember the last time I sheet mask. Can you believe it! And my skin its freaked out! I come from a country with very dry weather, no matter if its sunny or cold. And now It’s like I moved to the tropical forest: a spring that’s been all humidity and rain, with days of really hot sun and then storms and cold wind. I am totally lost in terms of what products I should use. I know I have to get my routine back on track. I am 43 and not getting any younger (ha!). I have been using the Tosowoong Power Enzyme in the morning for cleansing, followed by the Klairs toner, Klairs serum or the Propolis Ampoule by Tosowoong and then a moisturizer. But I feel so booored, and my skin is bored too. I used to love them, but now I feel they don´t do anything for my skin. With so many changes I stopped using my vitamin C serum, and the AHA and BHAs. Hi, I remember you were testing out the Blithe Tundra Chaga Pressed Serum, what did you think of it? I heard a couple of good review but I couldn’t find much on it. Mmmm I haven’t quite made up my mind on it yet, so I took it out of my routine to see how I feel about not using it. It is an amusing product, though! It smells much prettier than it looks like it would, hahahaha. hi fiddy! have you ever tried any products from the brand “belif”? howdy! first of all, your blog is a GODSEND – you and asian pear always have the information i need, summarized in one blog post, whereas it would otherwise take 3 hours of scouring the rest of the internet to find solid, reliable, and UNDERSTANDABLE info! hope I’m not too late to the party to ask a question. I use mandelic acid religiously for the last 12 months because I’ve seen such great results with it in terms of keeping my inflamed acne under control. I’d love to incorporate a BHA like this one to start attacking the persistent blackheads and sebaceous filaments, especially on my damn nose and chin! should i alternate nights with mandelic acid and this, or can i use them together? I’m currently applying my mandelic day and night — actually, the only difference between my AM and PM routine is that i add a couple of extra moisturizing steps in the AM, and in the PM i finish with benzoyl peroxide. I know if I combine them, I need to go BHA first to clear the way for the mandelic (even though it is oil-soluble, it’s still technically an AHA)…but CAN I combine them? thank you!! Hiya! Whether you can use AHA and BHA in the same day really depends on your skin. Plenty of people do do that (and I used to and was just fine before I started tretinoin). I’d alternate them for a little while when you first get the BHA just to see how your skin takes it, then try them together as you propose and see how that goes! Good luck! Hey Fiddy! I’m just wondering what are your thoughts on the Klairs vitamin C drop. I was looking at the C20 however I don’t think my dark spots are wide spread enough and dark enough for such a high concentration. Do you think the Klairs one is good for people with very small amounts of dark spots? Hello! The Klairs as far as I know will not be effective on dark spots at all as the concentration of L-AA is far too low and the pH of the product is far too high for proper penetration 😦 Paula’s Choice makes a 15% l-aa serum if that sounds like it might be a bit more reasonable for your needs. Hi Fiddy, i just saw that you’ve tried both goodal want anti-wrinkle sleeping pack and goodal nature’s firming sleeping pack. i want to know which one do you like better in terms of moisturizing and preventing fine lines? thanks! Me encanta leer este blogg, felicidades, magnifico trabajo. Hi…Where does a weekly or monthly facial (from a professional spa or skin center) fit in with an asian skincare regimen? Is it still okay to have a facial even if you’ve been using acitves? I’m not really a fan of facials personally (I have an old blog post explaining why) but I think as long as you let the esthetician know what you’re using, and they are qualified and knowledgable, they should be able to work around the actives you use at home. Hi Fiddy! I love your blog! Thanks for all of this wonderful information. I have a question about eyelash extensions and eye cream. I’ve had extensions for more than four years and an AB routine for six months. I started using an eye cream for the last two months and have found my lash extensions falling out much more quickly than before. My lash artist hasn’t changed anything so I suspect it’s the oil in the eye cream that’s eating away at the glue. No matter what I try (putting less on, changing the cream), they are still prematurely falling out. Do you have any advice? I noticed that you use several different eye creams. Should I try an eye gel instead? I really would like to use something to treat fine lines, but not the expense of my extensions. I think an eye gel is a good way to go if you can. My eye area needs a ton of moisture, though. I am definitely more cautious about eye creams now, but I find that if I don’t apply it down to the lashline (I just pat it around my orbital bone and upper upper eyelid area, and on undereyes) then it’s okay. I’m going to be trying some more watery/less emollient eye products soon, so stay tuned! Hi, you heard of the J One Jelly Pack? Will you be trying it out? Hi! I have used that actually (I think the bottle is still knocking around here somewhere). It wasn’t the product for me unfortunately. Didn’t really do a thing for my skin, and I disliked the way it felt 😕 I do like the J.One Hana Cream a lot, though! I would love your suggestions to any of the products! Thanks!!!!!! You heard of Deciem brands (the ordinary, hylamide, node..)? Did you ever try some of the them? I was wondering, what would you recommend to deal with boils/scarring from boils? I had about 3 boils on my chin a month ago, and though they are gone, I still have lingering dark patch of skin where the boil used to be! You know what beauty product I love, essential oils from Basilica Botanica. I’m an avid user but once I found these oils I have not switched brands ever since. Trust me on this one. I got mine via Amazon Prime, so convenient! Hi! New to this blog but it’s been so so so helpful! I’m 38 and have similar skin to you. Thank you for doing all this research and sharing the results! What products/regime would you suggest for pre-mature aging around the eyes? I never leave the house without sunscreen, but hope there’s something out there that can reverse/slow eyelid aging. a SoCal neighbor (and big fan!). Hi! I found your site through your post on ScA on Reddit. I’m thinking Bout getting Curology. Where does that fall in terms of order of application? It seems like it should be post toner and essences but before anything else. Is that right? And do you use the Curology with AHA/BHA? Thanks for your help and your site. I’m reading all of it! Hi! I’d put Curology quite early in the evening routine. Wait 20 minutes after cleansing, then apply and let it absorb for like 20 minutes. Some people find that it’s too strong and causes irritation when applied without anything underneath, so if that’s the case, you can actually apply it later in the routine, on top of other products–this helps buffer the tretinoin so that it’s less irritating. I have used Curology with AHA/BHA before. When I do that, AHA/BHA goes first, then the wait, then Curology. Lately I think I prefer to alternate nights, though! I don’t want to overdo it now that my skin is in a state I’m happy with anyway. Skin & Lab vitamin C.
I’m thinking of adding Shark Sauce to my routine for brightening and to reduce sun spots… For a bit I had tried the Timeless 20% Vitamin C + E Ferulic Acid Serum to help with this, but it totally dehydrates my skin & causes flaking around my cheeks, chin, and t-zone. Also thinking of adding in the Cosrx Advanced Snail 96 Essence for added benefits of evening skin tone and making it more hydrated. So if I was going to add both the Shark Sauce & Cosrx Snail Essence… which one would I put on first? They both seem to be at the essence/serum step. Hi Steph! Shark Sauce first as it’s lighter. Thank you so much for sharing all your discoveries when it comes to Korean Skin Care. For two months now I have searched high and low for useful blogs that can educate me and enlighten me. And yours was the bomb! It’s quite insightful anf has the information I need to convince myself to care for my skin more. I was hoping to get your take on the product sequence that I am about to embark on. There are some products that I’m a bit lost on when it comes to sequence. • Do I use the Klair Activating Youth Drop right after cleansing or the last step before night cream? • Should you use emulsion then lotion or choose just one or alternate each other? • Can I use facial oil as is, which is before the last step or it has to be mixed with my night cream? • I was also given an INNISFREE Tone Up Cream, I was wondering if that goes before my night cream or as alternate product? Also for your daytime routine, can I use different products or should I stick to what I used the night before? I hope you can advise me on this since like you I want to treat my skin right. Don’t worry I will do isolation testing too and know what works. Thanks for reading girl. I really appreciate your feedback. Hi! I love your blog❤️ When you wash your face with cleansing oil in the evening, do you remove your makeup first, or do you just leave it on and let the cleanser do the work? The cleansing oil is what removes the makeup! I put the cleansing oil right onto the makeup etc. and the massaging breaks it all up. Hi! Could you suggest serums which could lighten birthmark apperance? Hi mam. I’m 24 yrs old from India. I have dark pigmented lips.Is it safe to use vit C acid for lips? I didn’t wanna try expensive laser treatments, please suggest me any product for dark lips.